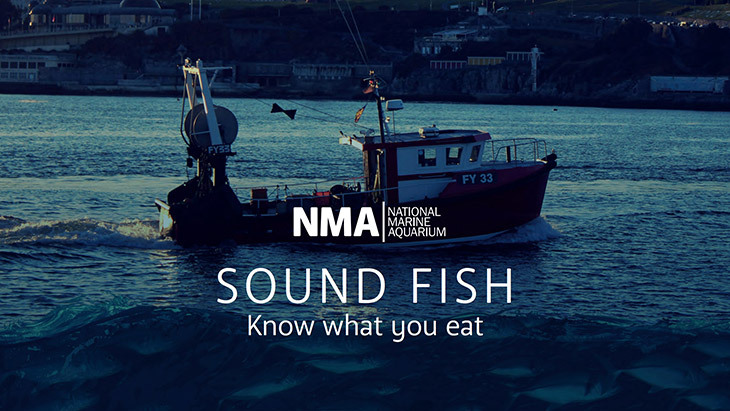 It’s our pleasure to welcome you to Sound Fish: Know what you eat guide, written and produced by the National Marine Aquarium (NMA) and partners. This new guide clearly shows the passion of the NMA and Plymouth to become a Sustainable Fish City. This work is part of the NMA’s Reconnect project, which aims to connect the people of Plymouth with the seafood they eat and where it comes from. We believe that sports teams, like our sailing team, can have real influence on society, putting the spotlight on key issues and leading change. Choosing to purchase and eat sustainable seafood is just one of the ways you can help. The guide showcases fifteen sustainable, local species with recipe ideas for you to try – our favourite is Sardines on toast! As proud Ambassadors for the NMA, we are delighted to promote a guidebook that shares our dedication to a more sustainable future. We hope that in reading Sound Fish, you will discover new knowledge about our Oceans, uncover a different perspective in Plymouth’s fishing heritage and join the journey towards more sustainable ocean.